As you know, the recent passage of the Harry W. Colmery Educational Assistance Act of 2017, also known as the “Forever GI Bill,” enacts several changes to the GI Bill that will positively impact Veterans and their families. Some of the changes became effective the day the law was signed, some next fall, and some in the future. In the months to come, we’ll be updating you on how this new law impacts VA education benefits and what actions Veterans may need to take. Here’s a breakdown of some of the legislation that immediately went into effect with the President’s signature, and what it means for you. The 15-year time limitation for using Post-9/11 GI Bill – The 15-year limitation to use benefits is removed for Veterans who left active duty on or after January 1, 2013, children who became eligible for the Marine Gunnery Sergeant John David Fry Scholarship (Fry Scholarship) on or after January 1, 2013, and all Fry Scholarship eligible spouses. There is no action you need to take; if eligible, the limitation is simply removed for you. 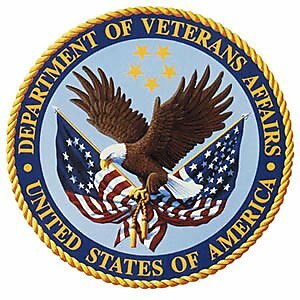 Restoration of Benefits due to School Closure – The VA is now authorized to restore benefits and provide relief to Veterans affected by school closures or disapprovals. If you attended courses or programs discontinued from January 1, 2015 to August 16, 2017, and attended an accredited institution of higher learning, and did not transfer any credits to a comparable program, entitlement will not be charged for the entire period of your enrollment. The law also provides separate criteria for partial benefit restoration for school closures after January 1, 2015. To apply for restoration, the VA will develop a web page with instructions, information, and a form to complete and return. We will update you when this page is available, and the VA will post an announcement on their main GI Bill page and social media sites. 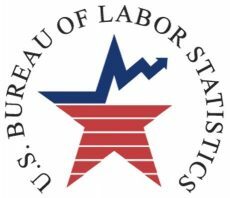 Independent study programs at career and technical education schools covered by GI Bill – This allows anyone eligible for GI Bill to use their benefits at an accredited independent study program at an area career and technical school, or a postsecondary vocational school providing postsecondary level education. A bit of background on this provision: before the passage of this law, most non-college degree programs weren’t approvable if any portion of it was online. This change allows those programs to be considered for approval even if some or all of the instruction is online/not in a classroom. There is no action for you to take here, as these programs will go through the normal course of approval by the appropriate State Approving Agency. Any new programs will be added to the VA’s GI Bill Comparison Tool. Reservists who had eligibility under the Reserve Educational Assistance Program (REAP) and lost it due to sunset of the program will have that service credited toward the Post-9/11 GI Bill program – The VA is in the process of identifying the approximately 2,800 Reservists affected by this and will send them letters with instructions. Look for updates from the Veterans Affairs website for when the letters go out, and what to do if you did not receive a letter but feel you may be eligible for this restoration. They will also post more information on the GI Bill web and Facebook pages. These changes will greatly benefit our nation’s Veterans by providing expanded access and opportunity to access education benefits. We will continue to update you as the VA works out the details of this legislation.